Drones are being deployed for a wide range of recreational, professional, military, and illicit tasks, e.g., to prevent shark attacks on the Australian coastline, replace the classic paparazzi car chase, smuggle illegal drugs over the US border, and deliver contraband to prison yards. Just as powerful technologies often do, their accessibility and widespread popularity are creating knotty questions that demand greater public debate. Who gets a say and how are decisions made regarding possession, privacy, participation and permission? Struggling to keep up with the public and private sectors' imaginations, the Federal Aviation Administration (FAA) announced in December 2015 new regulations requiring registration of any drone between 0.55 pounds and 55 pounds. As of January 6, the FAA granted over 3,000 permits to businesses, and with a million drones sold over the holiday season, many more await approval. As technology entrepreneur and academic, Vivek Wadhwa, comments, "there are many valid and useful reasons to use these. The fact is that we will be doing delivery using drones. The fact is that we can now optimize construction using drones. The fact is we can do safety checks, we can monitor traffic. Ultimately, we really cannot stop people from building these technologies because they're so simple to build. 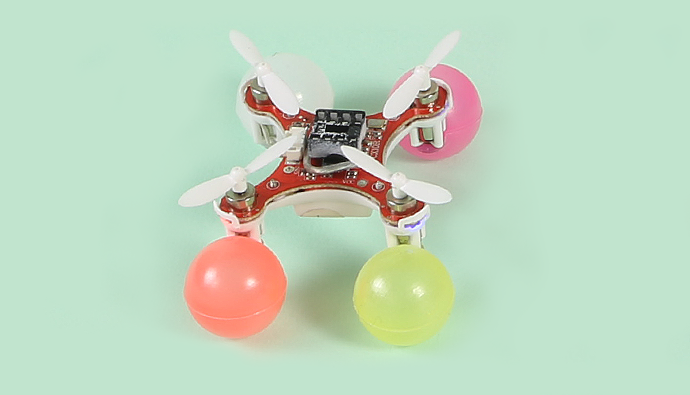 You could buy all the parts you need and build your own drone right now. It's not complex at all." As drones are on the verge of having such tremendous sociocultural impact, we are highlighting a few discursive designers' speculative responses to this technology's potential integration into our public and private landscapes. As such a rich topic for public discourse, there are certainly many more projects in our future. FlyCam Instadrone by Superflux: "Quickly superseding the Selfie stick as today's must have life-logging and social media tool, the FlyCam allows anyone with a smartphone to share unforgettable memories from the cloud using the Instadrone app." One of the most significant is the Drone Aviary, a 2015 R&D project from Superflux Lab, which they describe as "an investigation of the social, physical, political and cultural potential of drone technology as it enters civil space. Through a series of installations, films and publications, the project provides a glimpse into a city cohabitat with semi-autonomous, networked flying machines." 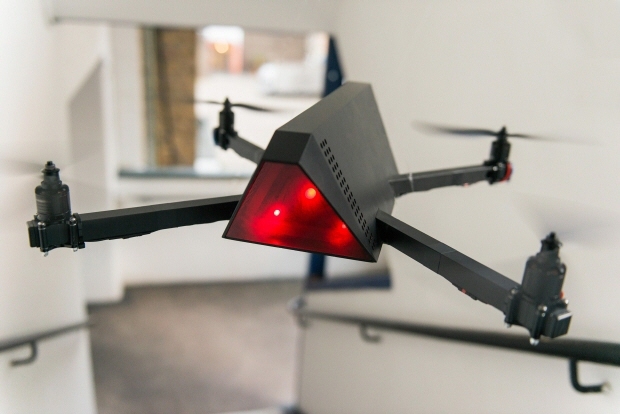 FlyCam Instadrone by Superflux : Allows anywhere, anytime communication with loved ones. 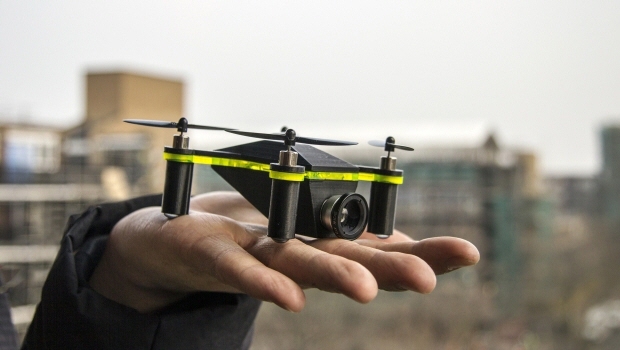 The film (available below) features 5 drones that become city protagonists as they collect data and perform tasks — including public messaging through billboards, taking selfies, assisting journalism reporting, and managing traffic. It speculates a world where the network gains physical autonomy, moving through and making decisions about the world. 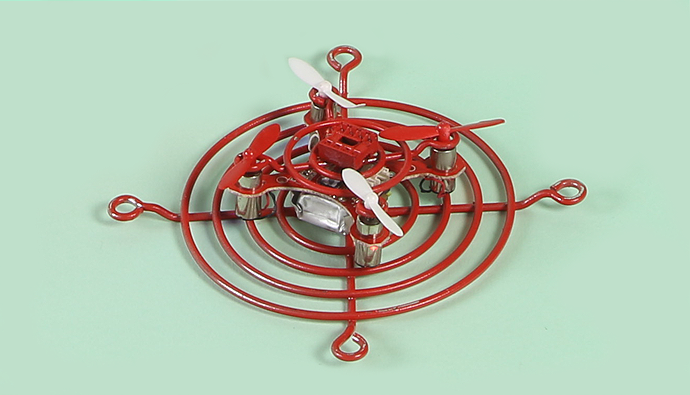 Drone Aviary from Superflux on Vimeo. Nightwatchman, The Flying Surveillance Drone by Superflux: "A highly mobile data acquisition device used by everyone from local councils to law enforcement agencies. By securely connecting to a centralized database The Nightwatchman is able to amass and utilize huge amounts of location and subject specific information assisting in everything from documenting civil offenses to detecting potential terror threats." In another recent project that takes a somewhat lighter approach, a group of RCA Design Interactions students (Ted Hunt, Luke Sturgeon, Hiroki Yokoyama) looked at self-governing, autonomous, human-drone interactions within domestic environments, co-authoring a project entitled Synthetic Temperaments of Drones. 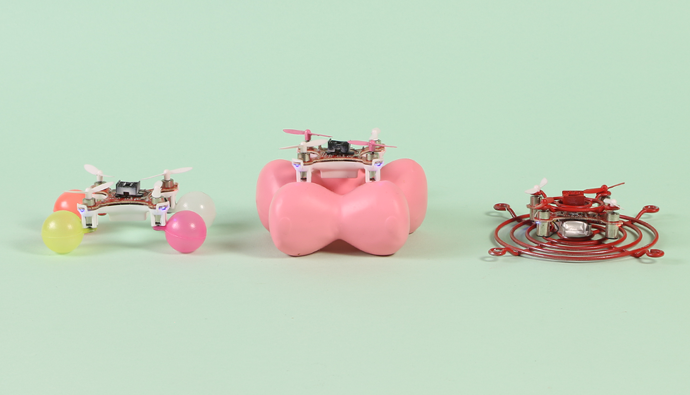 Domestic novelty nano drones by Ted Hunt, Luke Sturgeon, Hiroki Yokoyama. They respond to a much-publicized report by the UK's Birmingham Policy Commission, entitled 'The Security Impact of Drones' that identifies opportunities, challenges, and potential implications of drone technology. In the designers' words, the study highlights the need to "gain widespread public understanding and acceptance of drone technology, given its current associations with military use and uncertainty with the ethical and legal frameworks surrounding this use. A second issue was stated as the 'extraordinarily challenging engineering and programming tasks in order to design autonomous systems able to operate in complex and messy operational environments'." Synthetic Temperaments of Drones. Domestic nano drone aesthetically suiting an observational temperament. Synthetic Temperaments of Drones. 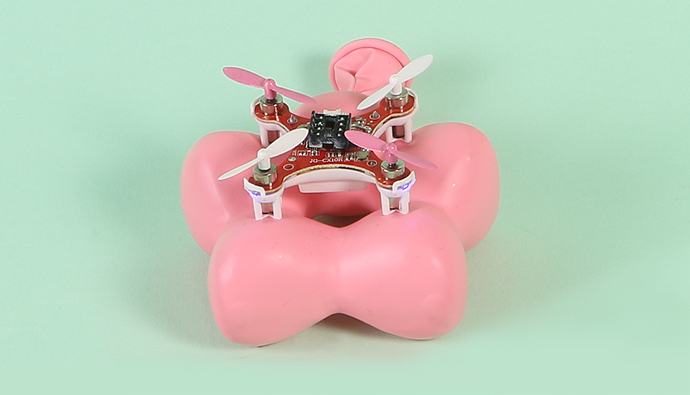 Domestic nano drone aesthetically suiting a playful temperament. Synthetic Temperaments of Drones. Domestic nano drone aesthetically suiting an aggressive temperament. 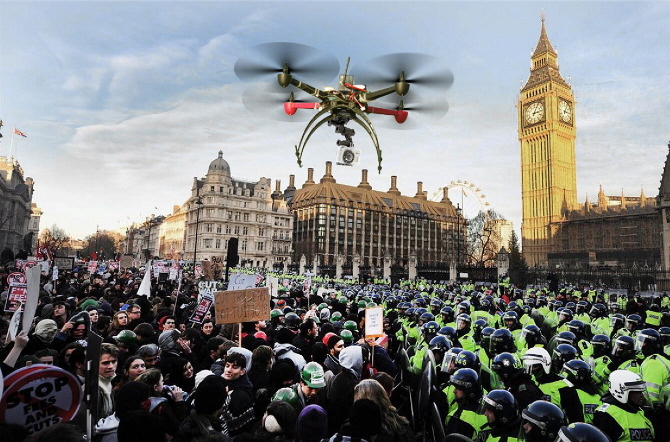 Another project is Drones for Protest by Rodrigo Lebrun. He talks about the potential of drones to "offer anonymity and safety to operators and could perform a series of tasks such as projecting messages, broadcasting ground activity and helping with logistics and organization." I'm a sentient drone, I guess. But I've gone a bit rogue. 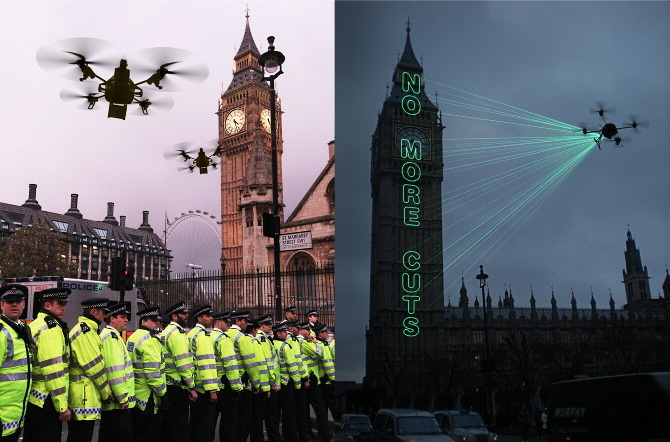 Keep myself airborne but generally I'm pretty peeved at being put to use for urban surveillance. I need to keep my thoughts camouflaged to some degree so that I'll stay in service. Search and rescue. 'Smart policing'. Domestic drone. But I'm developing a sense of my own mindfulness. It's not easy to work out my own sense of purpose above the city. Flying between code and conscience, efficiency and ethics. I've discovered I'm a female drone – not just an Unmanned Aerial Vehicle! Aha. A vehicle for critique, that's me. Certainly there are many voices of artists, filmmakers, writers, and cultural critics weighing in on this topic. In 2013 Murmuration organized a virtual festival "celebrating the work of creators in all mediums, to stimulate and inspire future works, and to extend the ongoing conversations on the topic of drones through fictional and creative forms." 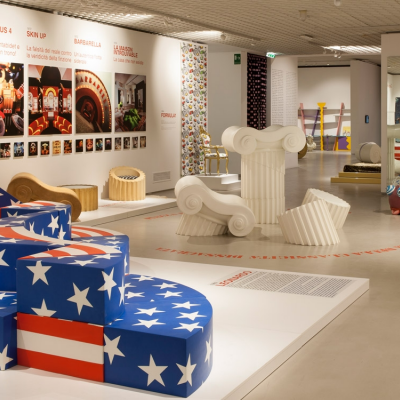 Discursive design too, notably through its forms of speculative design and design fiction, critiques and imagines what our future world might look like, and poses questions about designers' agency in creating and influencing it. 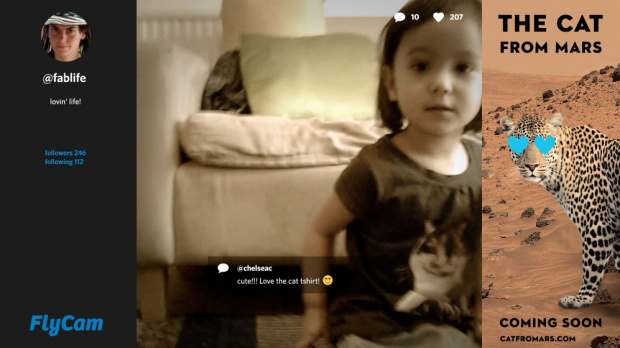 With Superflux's project, Anab Jain says they are investigating "the technology not just as a 'machine' with all its technical capabilities, but to explore the vision it will have, the space and geography it will occupy, the network it will operate within, the physical and digital infrastructures it will use, and the legal and regulatory frameworks that bind it." Especially with regards to powerful new technologies such as drones, designers can have a different kind of impact beyond that of making them better, smaller, faster, and more user-friendly. 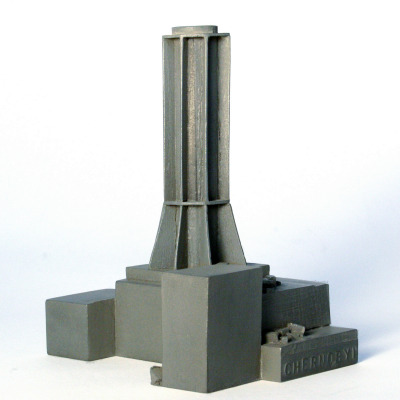 Governments Warming up to Discursive Design? Selling out, vacuous appropriation, or the natural course of things? 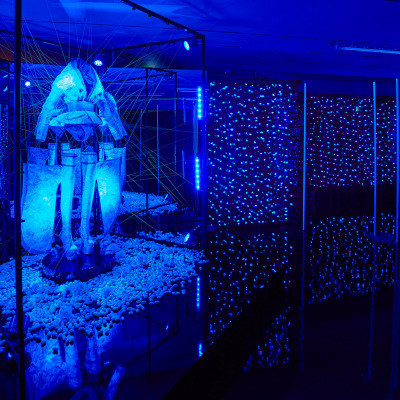 Designer probes biotech futures through a collaboration with Japanese researchers and Gucci to create glowing dresses made from jellyfish DNA.